I love painting Riga’s panorama. 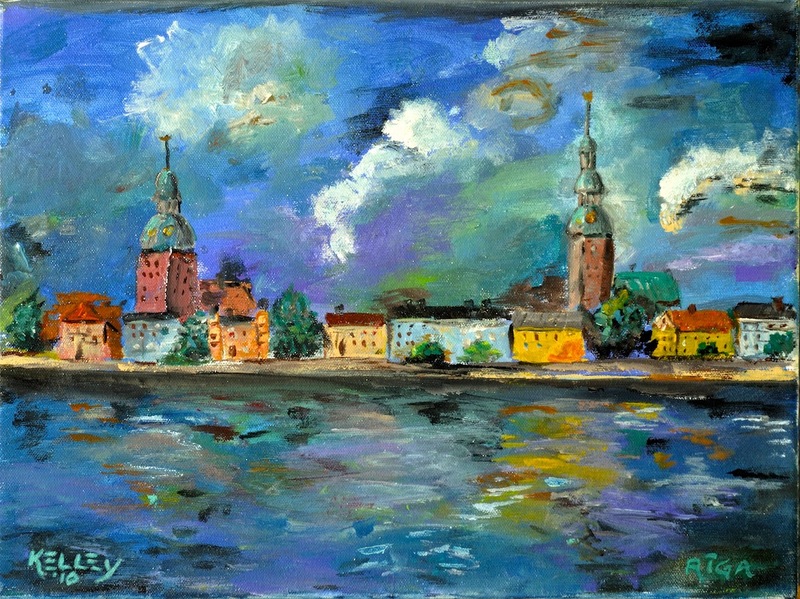 I have been inspired in part by the great Latvian master Leo Svemps who painted several skyline renderings many decades ago. A former rector of the Latvian National Academy of the Arts, he was brilliant with color. I painted this in my Riga apartment.